For the second year running, Rome Film Fest partners with the city’s historic Teatro Palladium, now owned by Roma Tre University, to screen a number of films from the fest lineup. 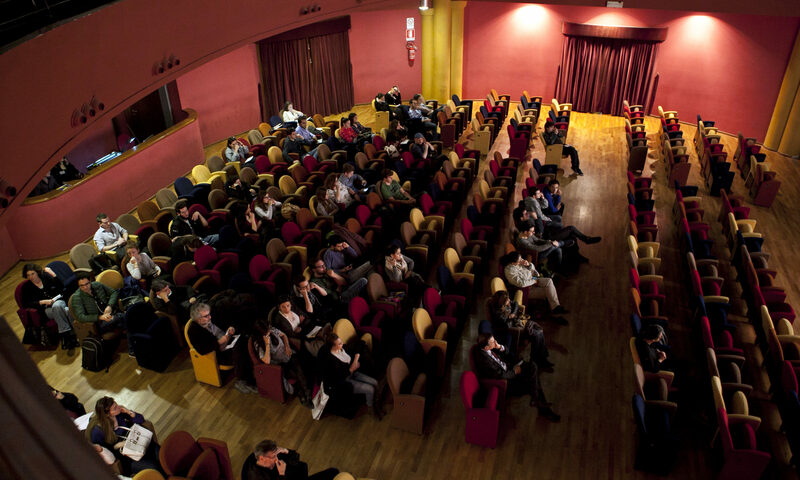 The initiative was made possible by an agreement establishing a collaboration between Fondazione Roma Tre Teatro Palladium and Fondazione Cinema per Roma, aimed at promoting films selected for the Rome Film Fest lineup and expanding their audiences to include university students. Indeed, Fondazione Roma Tre Teatro Palladium, which manages Teatro Palladium, is committed to supporting education and training in the fields of film, theatre, music and dance, with a special focus on initiatives developed by young people themselves. The screenings at the Palladium will run from October 24 to 27, at 8:30 pm, at free admission. The lineup will feature titles from the “Riflessi” section, mainly documentaries, and this year also biographies of Italian artists and intellectuals. On Wednesday, October 24, the first film to be screened is Il mare della nostra storia by Giovanna Gagliardo. Using stock footage, first-hand accounts and news reports, the film recounts the tumultuous history of Libya, a country that looks towards Italy, with Italy looking back. On Thursday, October 25, the Palladium hosts the screenings of two documentaries. The first, Le Vietnam sera libre by Cecilia Mangini and Paolo Pisanelli, is based on a mostly unpublished photographic report made by Cecilia Mangini in North Vietnam in 1964-1965 during the war with the United States. That war and that armed resistance by an entire people relives in her shots, writings and reminiscences. The next film is Linfa by director Carlotta Cerquetti, a story of freedom and cultural resistance in the women’s underground scene in Rome’s eastern outskirts. The directors will be on hand for the screenings. On Friday, October 26, the film screened will be L’anti-scienza – Il caso Ilaria Capua, a documentary by Stefano Pistolini and Massimo Salvucci devoted to the internationally renowned virologist swept into a fake media scandal that called her out as a virus trafficker. The two directors will introduce the film. The last film on the Palladium’s lineup, Womanity by Barbara Cupisti, will be screening on Saturday, October 27. Womanity is about the “positive force” that women exert on society: in their families, communities and the workplace, as well as in politics. A positive force and positive action unleashed despite the many obstacles that women still encounter today for a variety of reasons, be they religious, political or cultural.